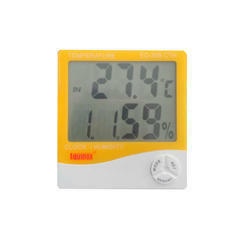 - Temperature (accuracy +/- 1 degree – displayed in Celsius or Fahrenheit). - The Hygro-Set is rectangular in shape and measures 2 ¾ W x 1 7/8 H x 9/16 thickness. 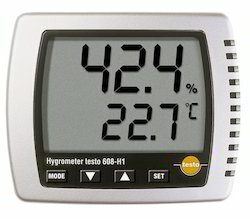 With the support of our adept team of professionals, we bring forth a broad assortment of Digital Hygrometer. Environment Forecast :"Sunny", "Rainy", "Dry" etc.